Air BP, an international aviation fuel products and service supplier, will be showcasing its technical services capabilities and general aviation expertise, at the Middle East and North Africa Business Aviation Association (Mebaa) Show, to be held in Dubai, UAE. The event will take place from December 10 to 12, at the Dubai World Central (DWC). Air BP’s technical services offer is a complete aviation fuel consultancy service tailored to customers’ individual requirements, said a statement. It includes a range of innovative technical services for airports including the design, build and operation of fuelling facilities to help customers manage their operations and associated risks. 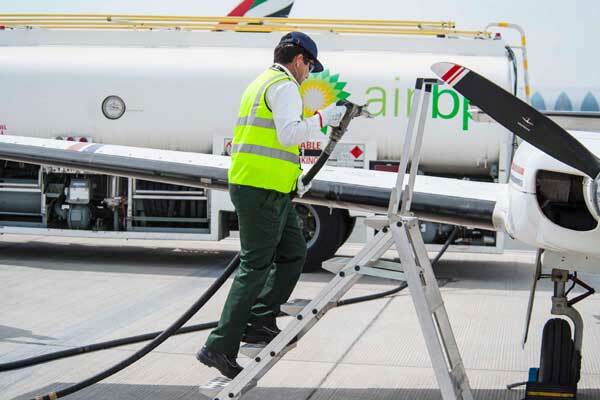 Air BP is currently providing technical services to customers in 11 countries across the Middle East, a region where it has been active for over 85 years, including Al Maktoum International airport, where the company was selected in 2015 as lead participant by the oil companies joint venture to design a new general aviation fuel terminal. Work has just commenced at the airport to connect the main fuel hydrant to the new general aviation terminal, which is home to Jet Aviation, Jetex Flight Support, ExecuJet, DC Aviation and Falcon Aviation, and is expected to be completed next year. Other notable recent successes include a technical services agreement with Adnoc, at Abu Dhabi International Airport (AUD/OMAA), to interlink two existing ship unloading lines at Anabeeb fuel terminal, enabling greater efficiency and flexibility in fuel supply, plus the project management of the tank farm refurbishment at Erbil International Airport (EBL/OREL) in the Kurdistan Region of Iraq. This latter project is expected to commence next month and is anticipated to offer airlines visiting the airport a more reliable fuel supply. Air BP’s general aviation fuelling expertise is unique in the region and recognised by customers, including the Emirates Airline Flight Training Academy at Al Maktoum International Airport, which has a fleet of 22 trainer aircraft. “We are seeing our general aviation business grow ever stronger thanks to our experience in handling Avgas, which has led to tie ups with customers such as the Emirates Flight Training Academy and the commissioning of new fuel facilities at the Al Maktoum International airport general aviation terminal,” he added. Visitors to Mebaa will also have the opportunity to find out more about Air BP’s low carbon solutions.